As the leading provider of Invisalign in the Southern California area Florman Orthodontics has been offering high quality orthodontic services for 3 generations. We take pride in the services that we offer and our knowledge and experience in orthodontics makes us one of the best in the industry. As a husband and wife team Drs. Florman and Gailani have helped thousands of patients achieve a perfect smile through orthodontics over the years, and their Invisalign experience is extensive. Together they bring more than 30 years of experience to the Encino office of Florman Orthodontics. The Florman Orthodontics Encino office has grown considerably since it first opened, and the support offered by local patients and dentists has been invaluable to our success. 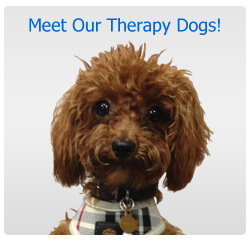 We provide private treatment rooms, compassionate care, cutting edge technology, and numerous luxuries to our clients. On site diagnostic equipment and highly trained technicians mean we can handle all of your orthodontic needs in one location. At Florman Orthodontics we have successfully treated more than 3,000 patients with the Invisalign Orthodontic System. Our experience means that you get a better outcome, and the Invisalign System is clear so there are no unsightly wires or brackets to detract from your appearance. Benefits include fewer office visits and this can keep your expenses down. The system works well for almost all ages, and it can be used on children, teens, and adults. Invisalign is not right in every case though, and the professionals at our Encino office can help you determine whether this method is best or if another treatment option should be used instead. The Invisalign process is simple and easy to follow. A series of aligners are created which are customized to your specific orthodontic needs, and these are made from a clear plastic so they do not alter the natural appearance of your teeth when worn. The alignment tray is comfortable to wear, with a smooth surface, and a gradual shift in your teeth will occur as a result of wearing the product. Since they are virtually invisible few people will know that you are wearing anything to straighten out your teeth. 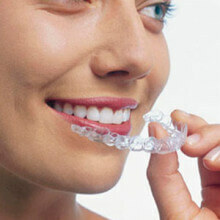 The 5 step process used for the Invisalign system is convenient. The first step is a consultation with an experienced provider who is knowledgeable about Invisalign, because there are some orthodontic issues that may not be treated with this system. If you are a good candidate then a 3-D image of your teeth will be created, and this is done using physical impressions and x-ray images. This 3-D image will be used to create your unique custom aligners, and these items are based on your specific dentition pattern. You will receive your custom aligners once they are created, and you will wear a new one approximately every two weeks until the treatment is complete. Check ups will be required roughly every 6 weeks to ensure that the desired results are being achieved. Once the Invisalign treatment is complete you can show off your new smile with confidence. The custom aligners will gradually move the teeth that need to be shifted, without any unsightly hardware. 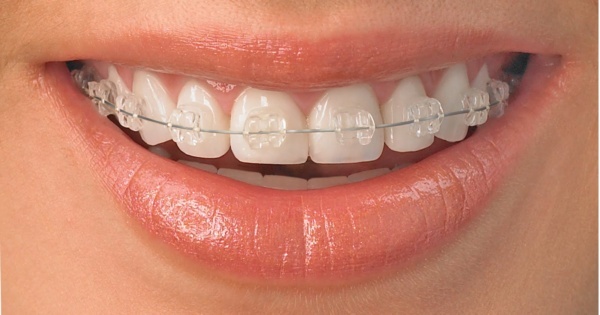 Many people think braces are something that only teens have but this is not true. Orthodontic specialists routinely see and treat adults and younger children as well as teens. Most patients wear braces for around one and a half to two years, but each patient has different needs and the time can vary from one case to another. It is common for individuals in their 40s, 50s, and 60s to visit an orthodontist and get braces. Florman Orthodontics has been successful in treating more than 6,500 patients who needed braces of all types, and we are the brace experts in Southern California. Out friendly, caring, and compassionate team of professionals can help your child achieve a perfect smile and plenty of confidence in their appearance. All children should see an orthodontic specialist by the age of 7 years old, and in some cases this may be needed as young as 2 or 3 years old if the need for this treatment is obvious at the younger ages. Early correction of any problems may provide better results, and in some cases surgery later on can be prevented if efforts to correct any defects are started early. 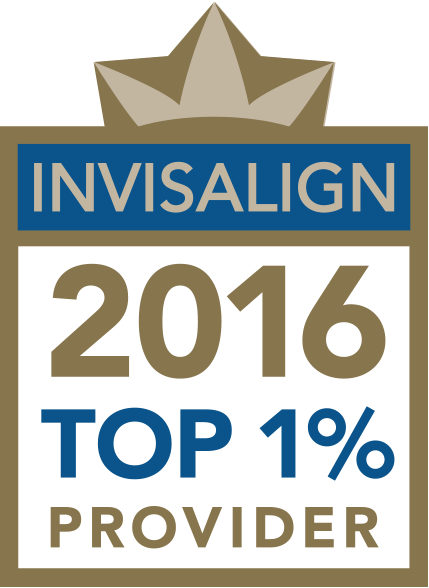 Invisalign Elite Preferred Provider– As an Invisalign Elite Preferred Provider we have the skill and experience needed to give you the best possible results. Our experience allows us to quickly identify the most effective treatment methods to use in your individual case, and that can mean faster results and fewer expenses. Full Family Practice– All of our offices, including the Encino location, are full family practices. We can treat your entire family and meet all of their orthodontic needs regardless of age. Our caring staff is gentle and compassionate, so even the youngest family members will not argue about coming to our office. The Latest Diagnostic Technology On Site-The Encino office has the latest diagnostic technology on site, so we offer one stop orthodontic diagnosis and treatment in a single location. A more accurate diagnosis is achieved and the best possible treatment is recommended for your specific dental needs.